Do you need to ascertain all the facts of a Civil matter? Allow Gary L. Ermoian, Investigations to assist you in the preparation of your Civil Case anywhere in the State of California or Central Valley of California. Personal Injury cases include automobile, motorcycle, bicycle accidents, product liability, premises liability, wrongful death and more. Gary L. Ermoian, Investigations has the resources and experience to investigate the causes of your particular personal injury case and assist you in insuring that the negligent parties are held accountable for their actions. Gary L. Ermoian, Investigations has assisted both plaintiffs and defendants in Business Litigation. Our experience has included investigations involving corporate, shareholder and partnership disputes, construction claims, mechanic liens, construction defect cases, real estate matters, breach of contract, fraud, negligence, insurance coverage disputes, employee wrongful termination and actions relating to the recovery of personal and real property. Call us today to assist you with your Business Litigation investigations anywhere within the State of California or the Central Valley of California. Gary L. Ermoian, Investigations to conduct your asset location investigation. Gary L. Ermoian, Investigations has been successfully conducting Insurance Investigations in the City of Modesto and throughout the Central Valley and State of California for many years. We have experienced, trained investigators capable of conducting thorough and objective investigations; take detailed tape-recorded interviews; with the latest equipment for state-of-the-art video and photography. Gary L. Ermoian, Investigations make use of undercover vehicles and high-tech video equipment to be able to rapidly respond to surveillance and activity check investigations. Our supporting resources, including the most up to date data base and DMV Information (Certified CA DMV Requestor) makes our investigators in the field the most productive and successful anywhere. Are you preparing to file a suit in Small Claims court? Gary L. Ermoian, Investigations can assist you in locating the defendant’s correct name and address. We can also assist in the service of your plaintiff’s claim, orders of examination, and all process relating to your Small Claims action. Witness Interviews require an effective technique. Because an interview is neither an interrogation nor a deposition, the investigator must be able to quickly establish a rapport with the witness to effectively draw out crucial information. Gary L. Ermoian, Investigations has decades of experience conducting fact-finding witness interviews. Allow us to professionally conduct your witness interviews anywhere within the City of Modesto, Central Valley or throughout the State of California. Gary L. Ermoian, Investigations offers prompt, diligent, accurate and affordable Service of Civil Process. Are you not getting the quality of service or personalized care that you or your firm requires and deserves? We are committed to providing quality civil process service within the City of Modesto, Central Valley or anywhere in the State of California. Our first priority is always our client’s best interests, and we conduct all serves in a timely and professional manner. Call us toll free at 1-800-575-4779 for all your Civil Investigative needs. 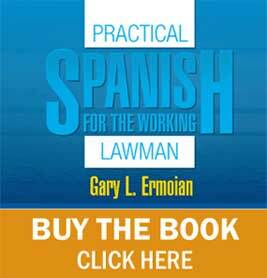 "The prompt and professional services of Gary Ermoian have been crucial to our client case work at my law office for many years. I have so much confidence in the quality of work performed by Gary Ermoian Investigations that I frequently refer family, friends and business associates to him."